Late 20th Century drug lord Ricky Donnell Ross was born on January 26th, 1960 in Troup, Texas. He is better known as “Freeway Rick,” the convicted drug trafficker turned philanthropist who established himself as kingpin in the 1980’s. Ross grew up in Los Angeles, California, moving there in 1963 with his mother Annie Mae Mauldin, who came from a sharecropping family. His Father, Sonny Ross, was an ex-Army cook and pig farmer. Mother and son moved to 87th place under Interstate 110, possibly the source of his pseudonym. Ross worked several jobs, played tennis at Manchester Park daily, and initially avoided gang membership and violence. He was recruited to play football for Dorsey High School in Baldwin Hills, considered the “black Beverly Hills” of the Los Angeles area, but was expelled when school officials learned he was a functional illiterate. Ross briefly attended Los Angeles Trade Technical College where he first engaged in illegal activity. He joined a network of auto thieves known as the Freeway Boys and became part owner of a chop shop which dealt in stolen vehicles. Ross claimed he first saw cocaine in South Central Los Angeles in 1982. Cocaine was at that time far less popular in low-income neighborhoods than back-tar heroin, marijuana, and PCP. Ross, however began to sell cocaine and after some success, met Henry Corrales, a Nicaraguan who supplied him larger amounts of the drug which he and his associates cooked into crack cocaine, a cocaine variant that is both more addictive than powder cocaine and can be sold in small, inexpensive units. By 1983, Ross had quickly established crack cocaine as the major illicit drug in Los Angeles and he and his drug ring made millions as the city’s main distributor. By 1984, Ross had expanded his business to include Nicaraguan drug trafficker Oscar Danilo Blandón Reyes and the major Colombian drug cartels as suppliers as well as hundreds of low level dealers. His market was now national including Seattle, Washington, New York City, New York, and Miami, Florida as well as Los Angeles. Ross did not use drugs himself but invested his profits in legitimate businesses such as the Freeway Motor Inn. 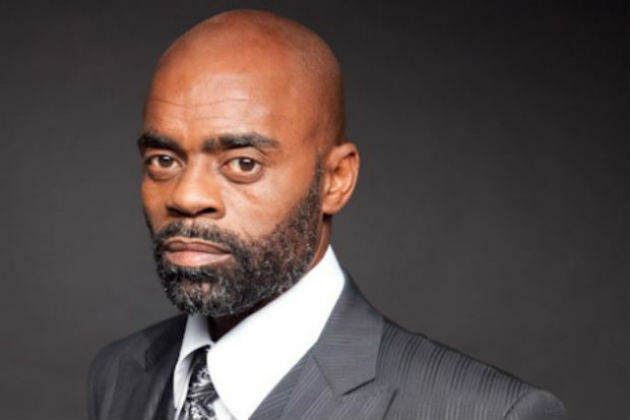 Due to this rising profile in the drug business, the Freeway Rick Ross Taskforce was created in 1985 by local, state, and federal authorities to end his operation especially after U.S. officials realized Blandón’s smuggling led to one major customer, Rick Ross. In 1988 and 1989, drug trafficking charges were brought against Ross in Texas, Ohio, and California. In November of 1989 he was captured in Los Angeles by police. He pled guilty to drug trafficking and received a 10-year sentence which was shorted to 4 years by his agreeing to cooperating with the U.S. Department of Justice to find corrupt police officers in the Taskforce. After release, Ross decided to use a theater he’d purchased as an outreach center beginning his career as a philanthropist. However, Blandón, who had been persuaded to become an informant for the Drug Enforcement Agence (DEA), provided testimony that convicted Ross a second time of more serious charges on March 2, 1995. Ross was given a life sentence. After using his prison time to gain his literacy and a reduced sentence of 20 years, Ross was released on September 29, 2009. Ross has been a key figure in the controversial “Dark Alliance” article written by Gary Webb that argued a government conspiracy led by the Central Intelligence Agency (CIA) to exchange arms for drugs from Central America helped fuel the nationwide crack cocaine epidemic of the late 1980s. Ross released his autobiography, Freeway Rich Ross: the Untold Autobiography in and helped produce an Emmy-nominated documentary, Freeway: Crack in the System (2015). Although his efforts have been unsuccessful, he also attempted to take his name back from the rapper “Rick Ross” who had appropriated it. Rick Ross lives with his wife Sergeant Mychosia Nightingale, his son Bricen, and daughter Jordan in Southern California. Rick Ross, “My Story,” The Original Freeway Rick Ross, http://www.freewayrickyross.com/my-story.html; Mike Sager, “Say Hello to Rick Ross,” Esquire, September 25, 2013, https://www.esquire.com/news-politics/a25818/rick-ross-drug-dealer-interview-1013/; A&E Television Networks, “Ricky Ross,” Biography, April 2, 2014, https://www.biography.com/people/ricky-ross-481828; “CIA-Contra-Crack Cocaine Controversy,” United States Department of Justice, May 31, 2009, https://oig.justice.gov/special/9712/ch06p3.htm.